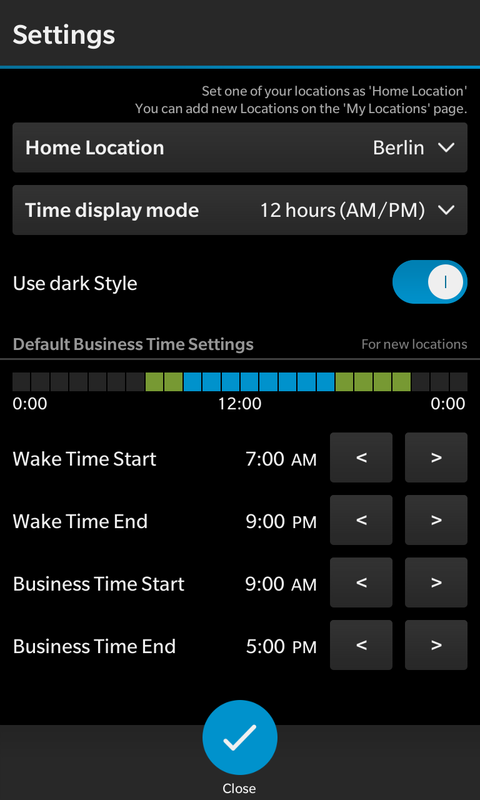 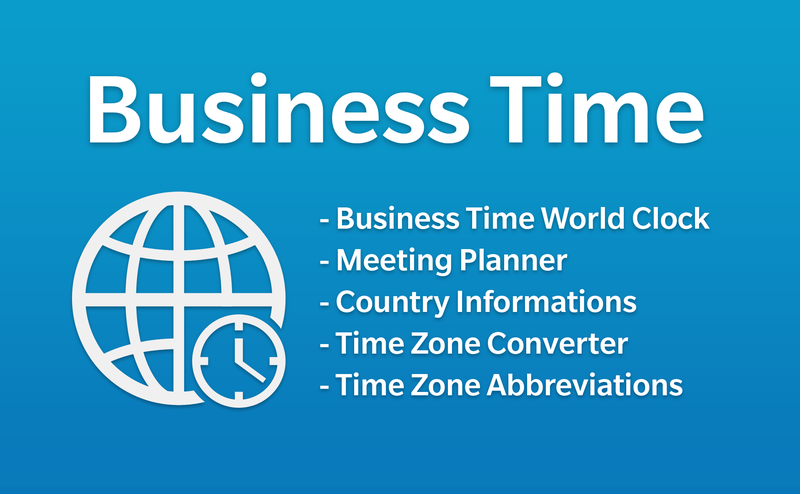 Create and save a set of locations where your business-partners, family members or friends are located and assign their preferred business times / wake times. 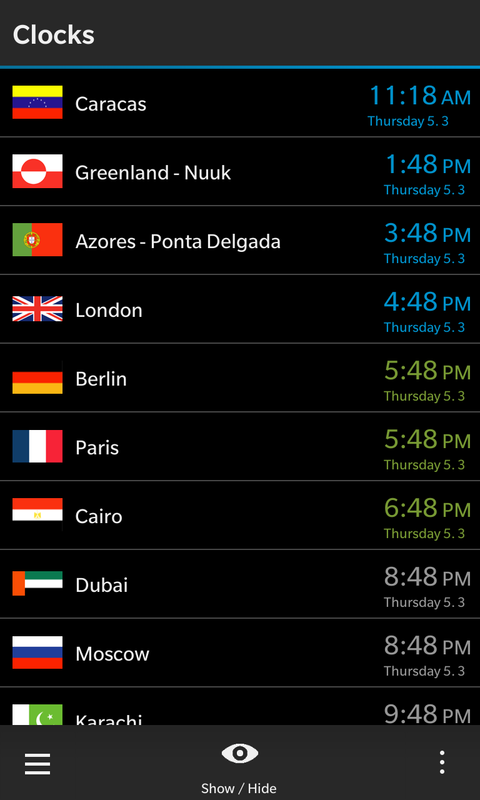 You can easily observe the current or future time state of a selected location. 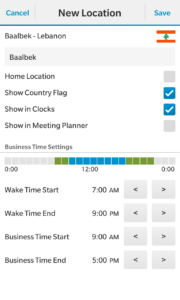 The interactive meeting planner is a unique tool to find suitable meeting times. 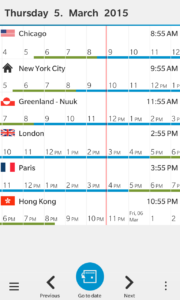 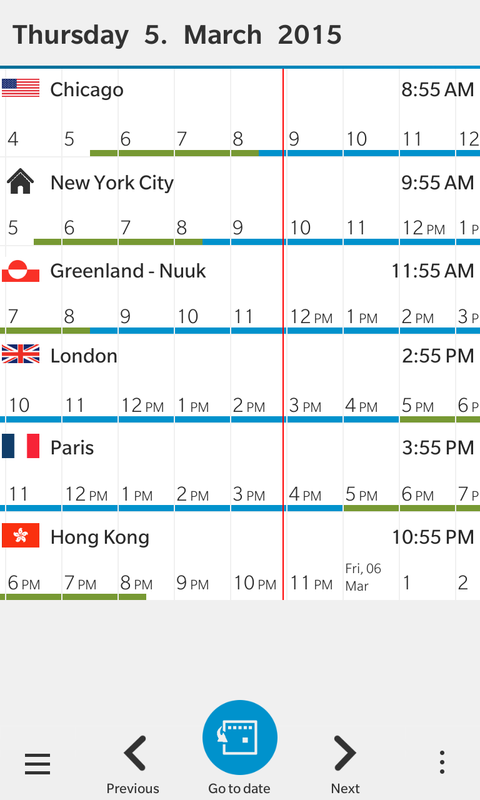 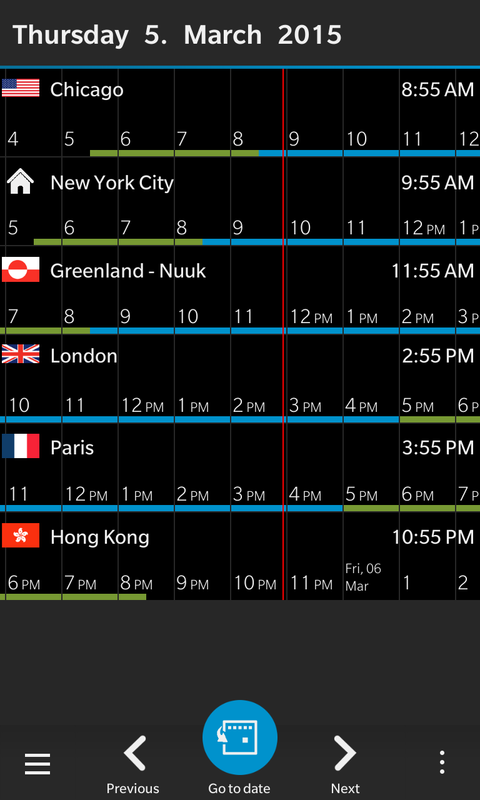 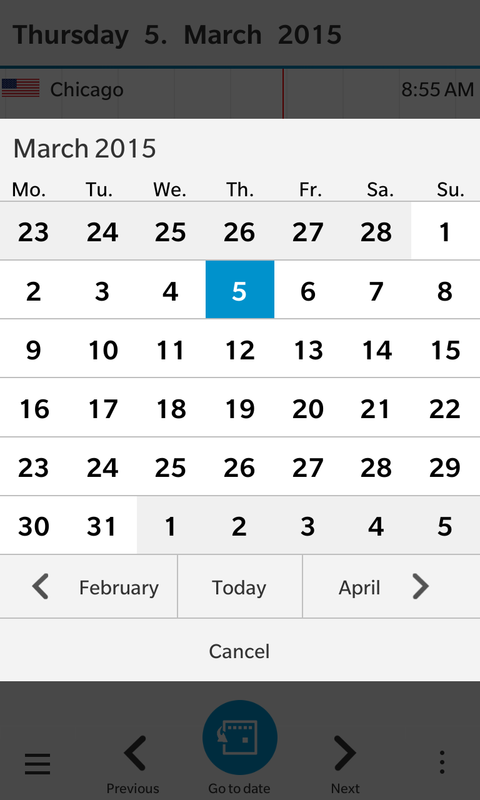 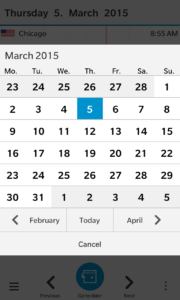 You can add a selected time to your calendar or share it with your contacts with one tap. 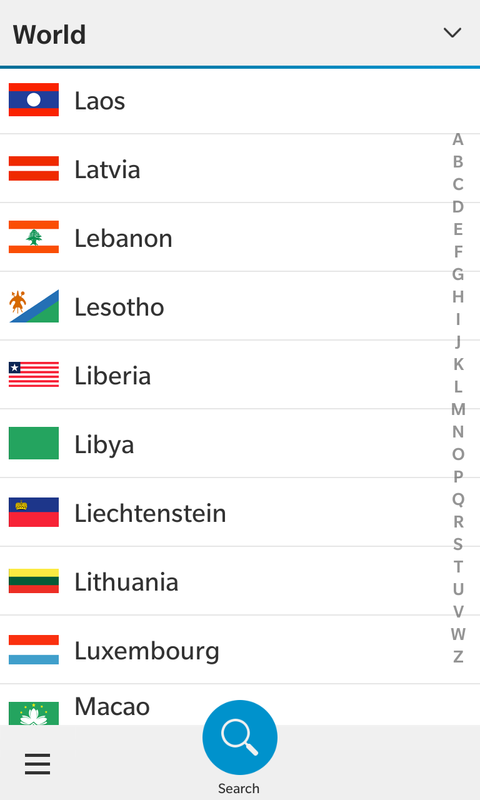 A must have tool for every BlackBerry 10 user with contacts world wide. 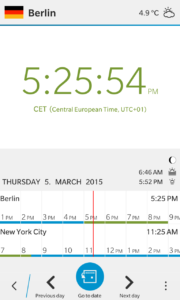 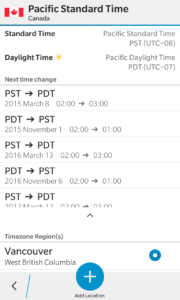 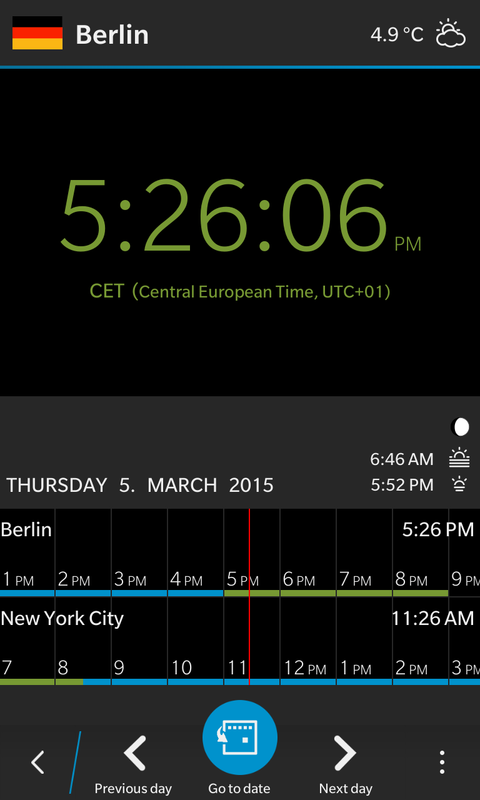 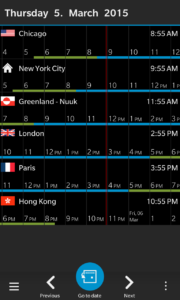 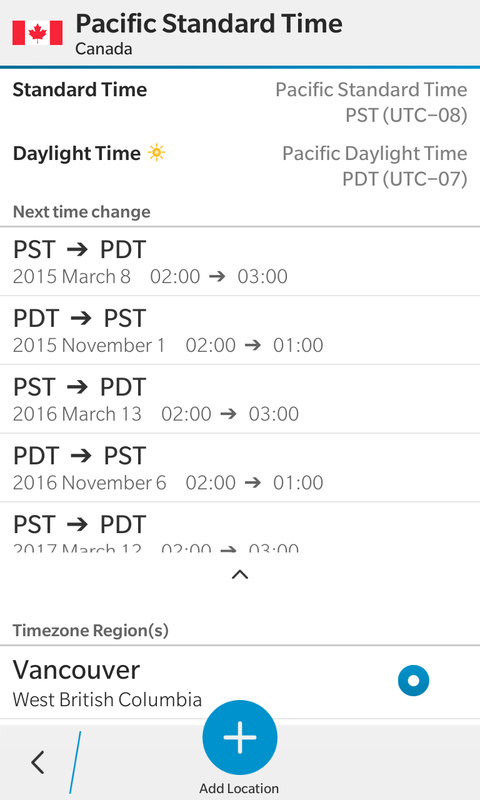 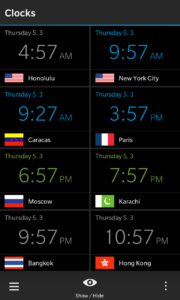 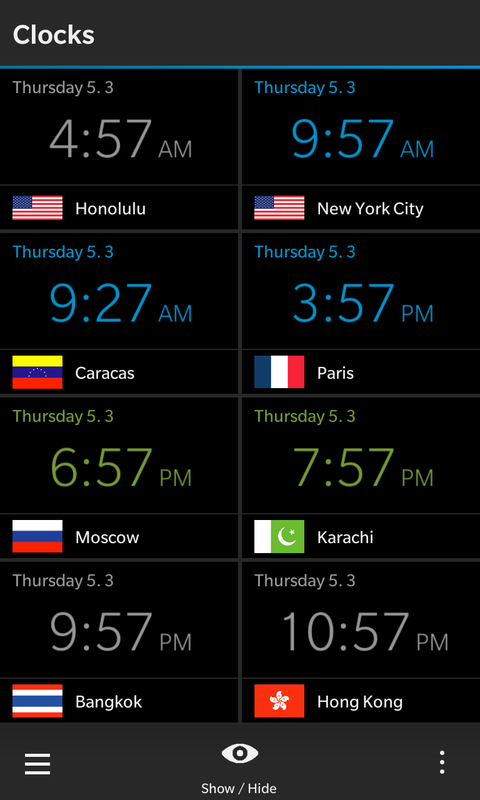 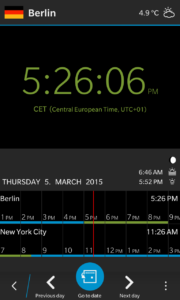 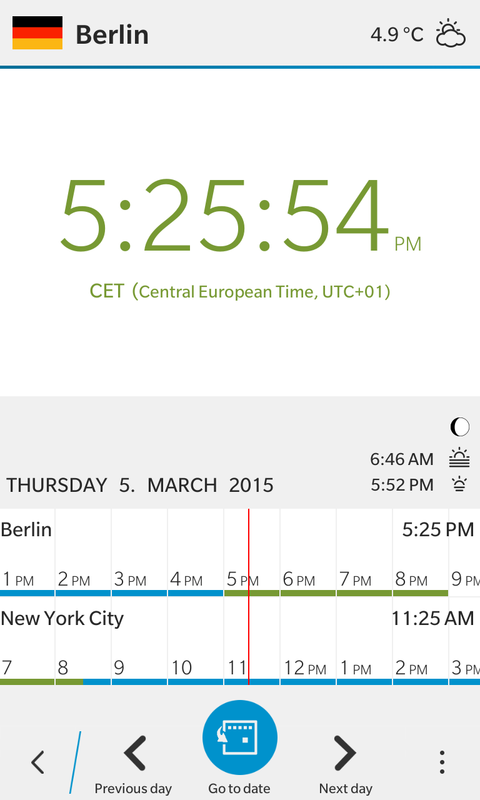 Time Zone Converter – If it is 1pm in New York next week Friday, what time is it in Berlin? 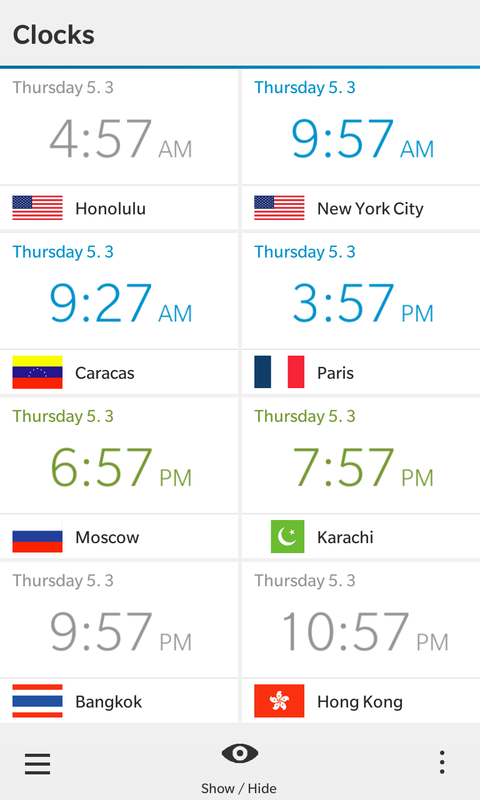 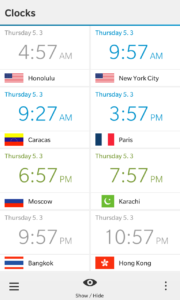 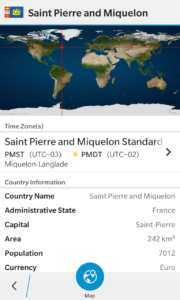 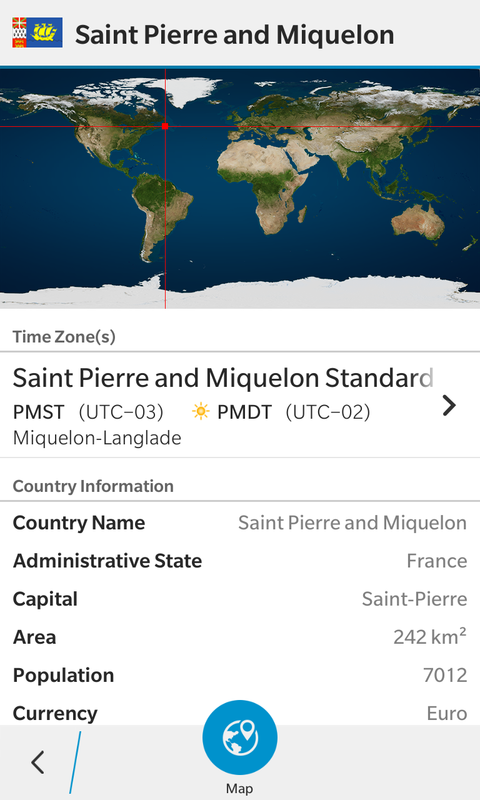 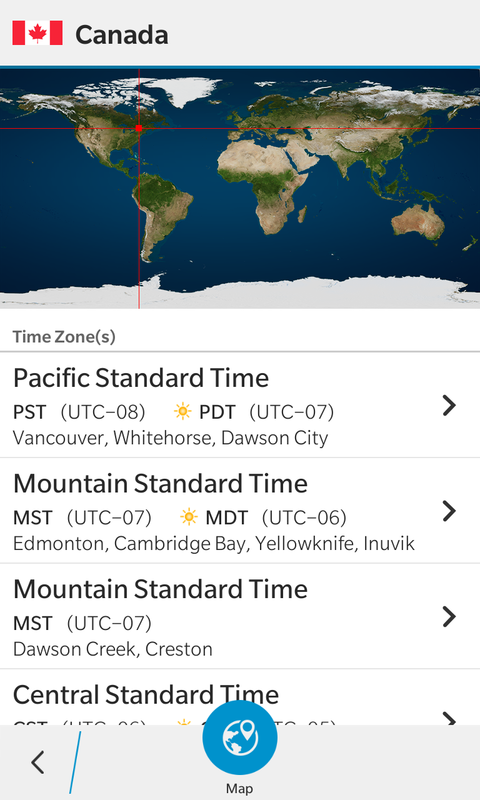 Country Database – Which different timezones has Canada? 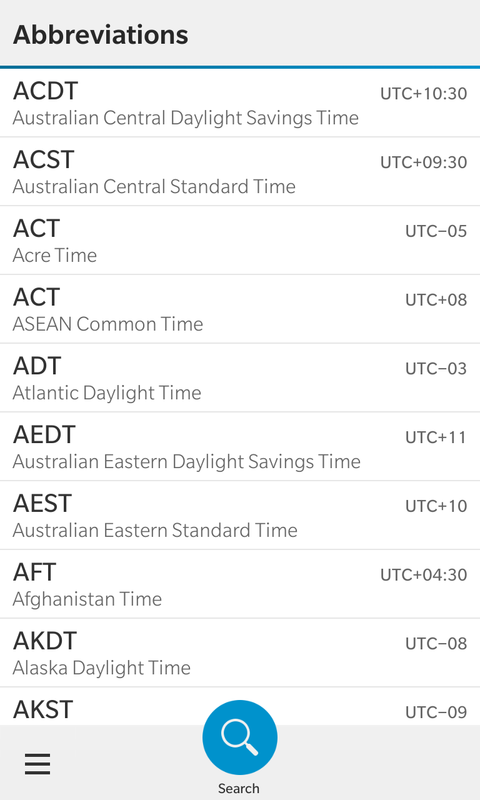 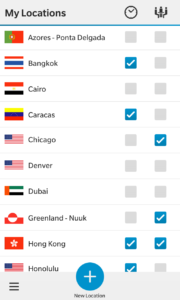 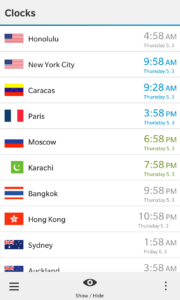 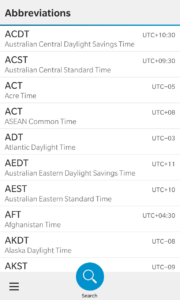 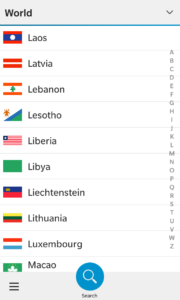 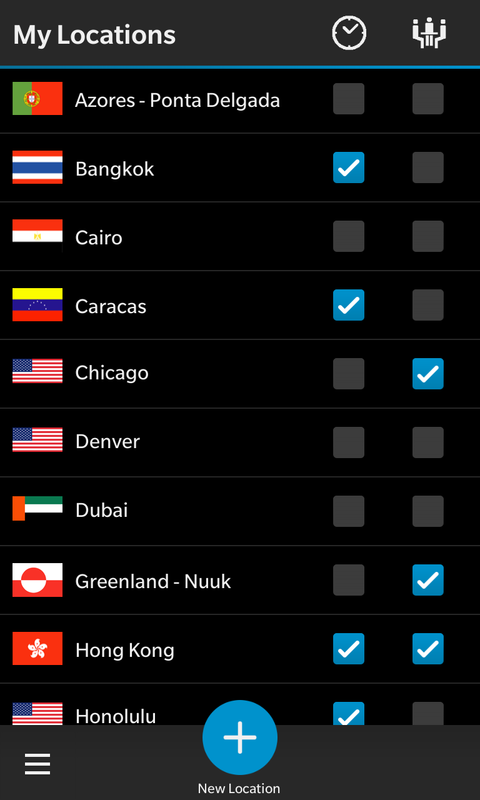 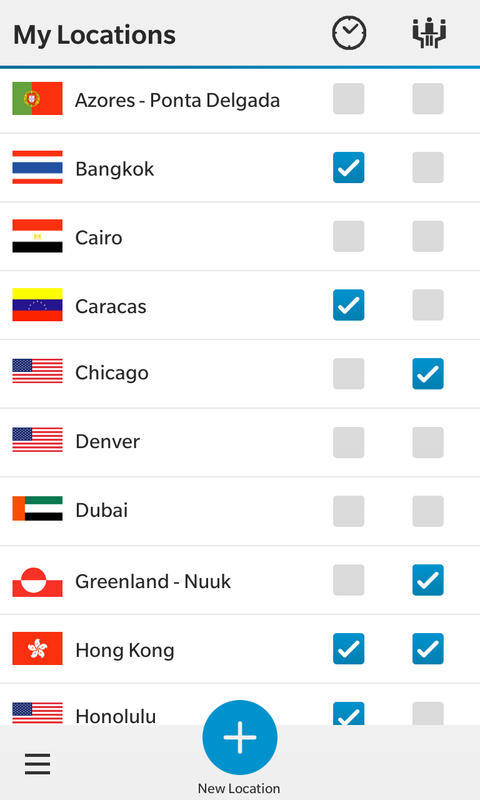 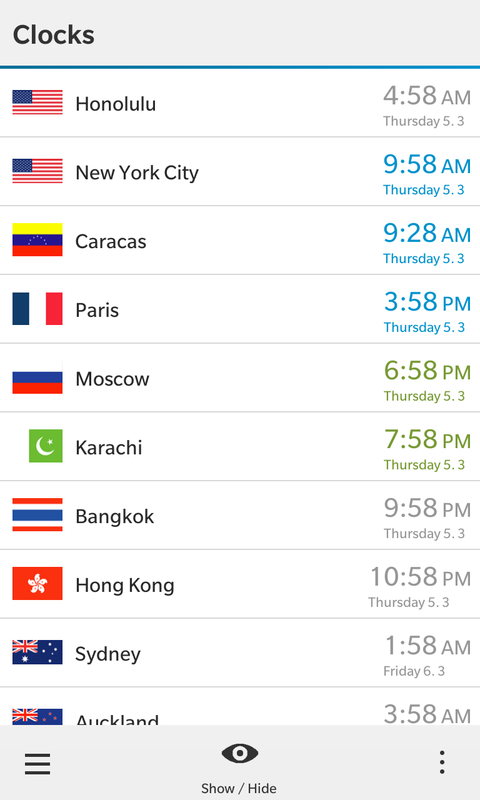 Time Zone Abbreviations Database – What exacly means ‘EEDT’ and in which countries is it used?